How can you experience all this? Well, plenty of ways. 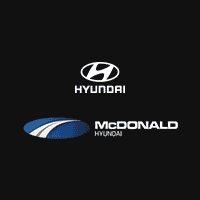 McDonald Hyundai can be contacted online, or via phone. We also love visitors, so stop into our showroom in person. We can be found at 6500 S Broadway Littleton, Colorado. We’re happy to continue the conversation, discuss new models, and answer any questions you might have. Finding your ideal vehicle is the first half of the car buying equation. The second half is securing a car loan or lease that fits your current financial requirements. That’s something the team at McDonald Hyundai is trained to provide, and they do so by sitting down with you, one-on-one. That way, we can learn more about the kind of payment you’re comfortable with, your long-term financial goals and address any other questions or concerns on your mind. Of course, McDonald Hyundai doesn’t stop to rest once the sale is over. Instead, we put our Hyundai parts and Hyundai repair experts to work for you! Whether you’re a D-I-Y enthusiast who’s looking for that hard-to-find part or you want to drop your car off at our Littleton service station and have the work done for you, we’re here to lend a hand. At McDonald Hyundai, we’re eager to demystify the car-buying process in a way that’s clear and informative. The next time you’re in the market for a new or used Hyundai in Denver, we invite you to stop in and meet our kind professionals at 6500 S Broadway in Littleton, CO to see for yourself!